(Scott Sommerdorf | The Salt Lake Tribune) Supreme Court Justice Ruth Bader Ginsburg arrives at Sundance's Cinema Cafe prior to being interviewed by NPR's Nina Totenberg, in connection with the documentary RBG, Sunday, January 21, 2018. 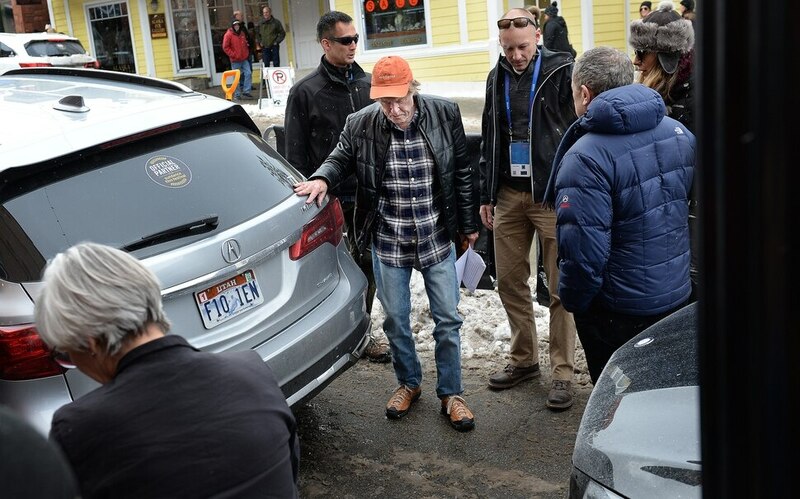 (Scott Sommerdorf | The Salt Lake Tribune) Robert Redford arrives at Sundance's Cinema Cafe to attend the interview of Supreme Court Justice Ruth Bader Ginsburg by NPR's Nina Totenberg, in connection with the documentary RBG, Sunday, January 21, 2018. 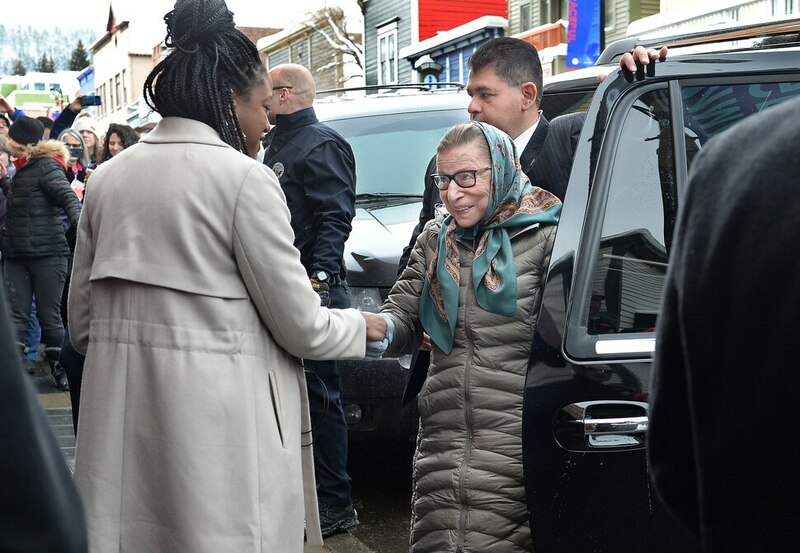 (Scott Sommerdorf | The Salt Lake Tribune) Supreme Court Justice Ruth Bader Ginsburg arrives at Sundance's Cinema Cafe prior to being interviewed by NPR's Nina Totenberg, in connection with the documentary RBG, Sunday, January 21, 2018. 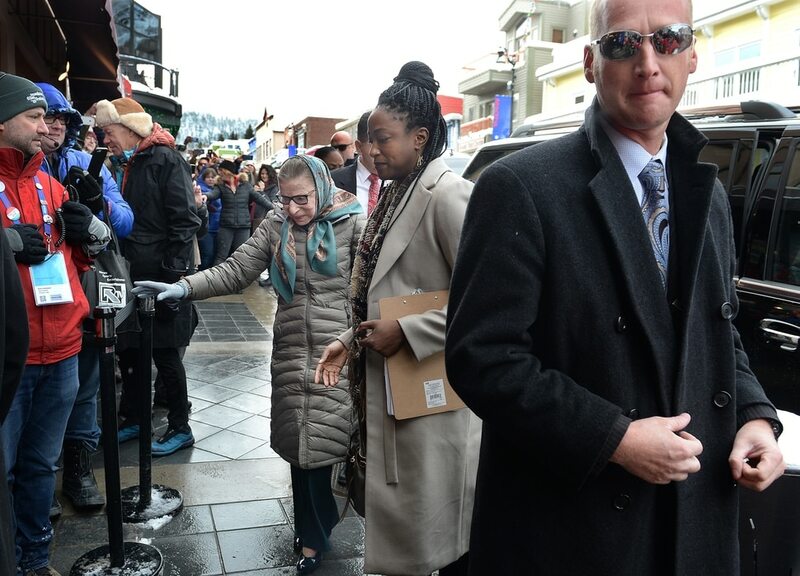 (Scott Sommerdorf | The Salt Lake Tribune) Supreme Court Justice Ruth Bader Ginsburg arrives at Sundance's Cinema Cafe prior to being interviewed by NPR's Nina Totenberg, in connection with the documentary RBG, Sunday, January 21, 2018. (Scott Sommerdorf | The Salt Lake Tribune) Supreme Court Justice Ruth Bader Ginsburg is interviewed at Sundance's Cinema Cafe by NPR's Nina Totenberg, left, in connection with the documentary RBG, Sunday, January 21, 2018. (Scott Sommerdorf | The Salt Lake Tribune) Supreme Court Justice Ruth Bader Ginsburg leaves the stage to a standing ovation after being interviewed at Sundance's Cinema Cafe by NPR's Nina Totenberg, in connection with the documentary RBG, Sunday, January 21, 2018. (Scott Sommerdorf | The Salt Lake Tribune) Supreme Court Justice Ruth Bader Ginsburg, center, is introduced by Robert Redford prior to being interviewed at Sundance's Cinema Cafe by NPR's Nina Totenberg, in connection with the documentary RBG, Sunday, January 21, 2018. Park City • It took a documentary about her illustrious life to leave Ruth Bader Ginsburg, author of eloquent Supreme Court opinions, speechless. She was also impressed with meeting Robert Redford, the Sundance Institute’s founder. “He’s just as good looking [in person],” she said. Redford claimed the honor of introducing Ginsburg at a Sunday afternoon event, a wide-ranging onstage interview with NPR justice reporter Nina Totenberg, at the cozy Park City Elks Lodge. In the Elks Lodge interview, Ginsburg told the standing-room-only audience that there’s nothing new about sexual harassment. “Every woman of my vintage knows about sexual harassment, though we didn’t have a name for it,” she said. Ginsburg told of one instance when she was a student at Cornell. Ahead of a big exam, her chemistry professor offered to give her a practice exam. On the other hand, there was the law professor at Columbia University who got her her first position as a law clerk. The professor recommended Ginsburg to one judge, who was a Columbia alumnus and always hired Columbia students, but the judge was hesitant to hire a woman with a 4-year-old child. The professor offered to line up a male student if Ginsburg didn’t work out. Before her appointment to the U.S. Supreme Court in 1993, Ginsburg built a reputation of fighting for women’s rights in a series of court cases. She argued six major cases before the Supreme Court and won five of them. The Cinema Cafe event drew VIPs to the Elks Lodge, including Redford. Some fans stood in the freezing cold on Main Street for three hours waiting for the few available seats. • Supreme Court justices are allowed to decorate their chambers with art borrowed from the National Gallery. “My colleagues’ tastes run in two directions,” she said. “One is portraits — portraits of long-dead men. The other is outdoor scenes.” Ginsburg prefers modern art, from the National Gallery and the Museum for American Art. • She enjoys Kate McKinnon’s satiric portrayal of her on “Saturday Night Live,” though she had never seen McKinnon’s sketches until the makers of “RBG” showed them to her. “I would like to say ‘Gins-burned,’” she said. • Ginsburg, who turns 85 in March, has hired a full staff of clerks through the 2020 term, an indication that she’s not looking to retire anytime soon. “As long as I can do this job full steam, I will be here,” she said.